GMVN Tourist Rest House in Raithal provides budget accommodation for the trekkers of Dayara Budgyal and Bakra Top. Raithal is a small village situated in Uttarkashi district of Uttarakhand state. It acts as the base camp for trek to Dayara Bugyal. 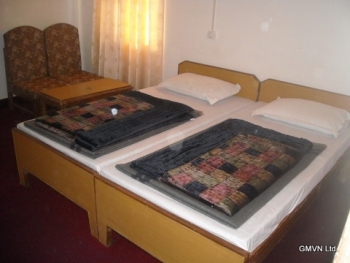 Accommodation in GMVN Tourist Rest House at Raithal is provided in Economy Class rooms and dormitories. GMVN TRH in Raithal is lcoated in main taxi stand. Raithal is situated at a distance of 39kms from Uttarkashi and 9kms before the famous Dayara Bugyal. 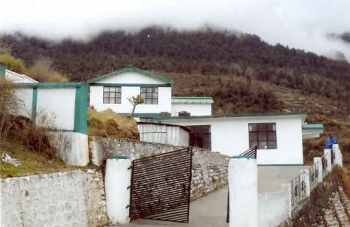 The GMVN TRH in Raithal offers 07 Economy rooms and 04 Bedded Dormitory for the trekkers and tourists visiting Dayara Bugyal. It provides absic amenities and facilities such as attach bathroom, hot water supply etc. The restaurant in GMVN TRH in Raithal serves snacks and variety of healthy dishes. Shail Vihar, Haridwar By Pass Road, Rishikesh - 249201. NOTE: eUttaranchal.com is NOT associated with Uttarakhand Tourism Board or GMVN - Garhwal Mandal Vikas Nigam.